I love snapfish. I first heard about it when an old co-worker shared her online album with me from her wedding. Soon after that, my sisters-in-law were sharing family photos with me. At the time, I didn't really take too many pictures. Then we got Remmy and I started taking more pictures. Snapfish is great for sharing multiple photos with family and friends. It's also a good place to store your photos. My sister-in-law lost all of her photos on her computer after it crashed a couple of years ago. Now, she makes sure she uploads all of her pictures to snapfish. She prints the ones she wants, when she wants. She shares her albums with us. And most importantly, her pictures of her beautiful daughter are safe if her computer crashes. It's free to set up and account and free to share your online photo albums with family and friends. There are all sorts of fun projects and photo gifts available to purchase on snapfish as well. And there is almost always a sale going on. 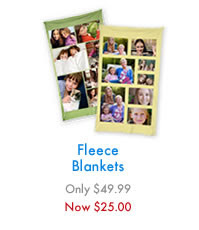 Today, I want to share their latest deal with you. Until July 11th, snapfish is having a Penny Prints Sale. 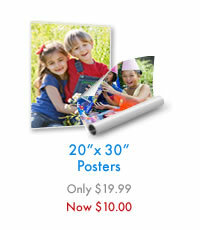 99 prints for 99 cents. 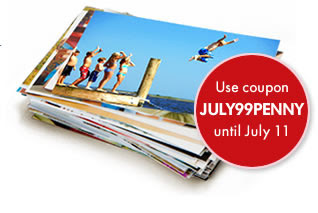 Use coupon code JULY99PENNY when you check out. That's a really great deal! Personally, I only get pictures printed when there is a sale going on and like I said, there is almost always a sale going on. 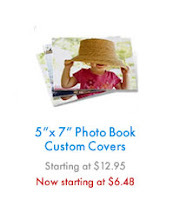 Last week, I ordered a FREE 8 x 10 photo collage and only paid about $1 for shipping. Great deals, right? But the sale is over on July, 11th. So, go and order your Penny Prints now! Also, don't forget about my CSN Stores Giveaway! There's still time to enter! Head on over to this post to find out how to enter (up to 4 times) for your chance to win a $40 Gift Certificate to be used in any of their 200 + online stores!